The Longhorns holds 15 commitments as the Texas high school football season starts Thursday. The class ranks 10th in the nation. Tom Herman’s program plans to sign a minimum of 25 prospects in the 2019 class, which means there are at least 10 spots available before national signing day. There are numerous targets who remained uncommitted, but it won’t be shocking if the staff continues to pursue a handful of targets that are already pledged to rival universities. Ellis is a hometown star who earned a Longhorns offer on May 26. He might be the best vertical threat in the state this cycle. His SPARQ score is the highest recorded in the 2019 class for the state of Texas. He averaged more than 25 yards a catch as a junior, finishing the year with 56 catches for 1,248 yards and 14 touchdowns. Ellis made it clear that Texas would be among his favorites if offered, and now it’s a matter of space. Texas already holds commitments from three receivers and all three translate to the slot receiver position. Texas landed a pair of bookend offensive tackles in Tyler Johnson and Javonne Shepherd, both four-star prospects who rank on the Fabulous 55. That doesn’t mean the Longhorns aren’t prepared to sign a third offensive tackle in the cycle. Coker is an option despite a commitment to TCU. Coker impressed in the offseason after transforming his body as a junior. He went from overweight going into his junior season to fit as an incoming senior. A strong senior season could result in a big push from Herb Hand and the Texas staff. Leal stung the Texas coaching staff and fan base when he pledged to Texas A&M early in the cycle. 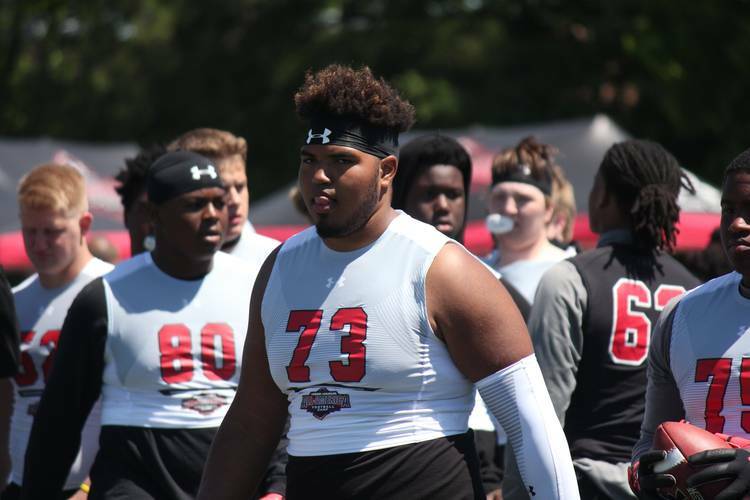 He was suspected to favor the Longhorns heading into the spring, but wrapped up his commitment to the Aggies after an official visit for the spring game in College Station. The Longhorns won’t stop recruiting him until he faxes a national letter of intent and it won’t be surprising if Leal ends up on campus at least once during the season. A good year for the Longhorns could put Herman’s squad back in the mix for the state’s top defensive lineman. The one thing Texas lacks in the current class is a true edge pass rusher who can play defensive end or B-Backer. The Longhorns want a player in the mold of Joseph Ossai and Parker fits the bill. He doesn’t hold a UT offer, but that could change if Texas feels the need to pursue a new target on the edge. He was the District 11-5A defensive player of the year as a junior after recording 86 tackles and 13 sacks. Banks was another player considered Texas’ to lose when the 2019 class began taking priority after signing day. He was a long-time target of the staff and had built a close relationship with assistant coach Jason Washington. Banks was a teammate of current Texas tight end Malcolm Epps. Banks was born in Baton Rouge and elected LSU. Texas is OK signing the current two commitments at cornerback, but wouldn’t mind if Banks backed away from LSU if the Longhorns can impress this season.